The worst album I've heard in years. I thought that bans like Wooden Kimono or Family Force Five were S***......but MY GOD LOOK WHAT'S HAPPENED! 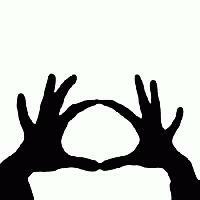 3OH!3 stumbled into my life. I proceeded to vomit everywhere. Eh not bad, but not by any means good. They do an interesting job with what they do.. they don't try to make it extra "white" but they do try a bit too hard to get thug..
An interesting entry in my music catalogue can't vouch for any lasting value to it though. Just read the lyrics. If those don't kill your brain cells, then listening to this album will. I listened to some songs on this when I was a freshman and thought it was alright. What the hell was wrong with me?